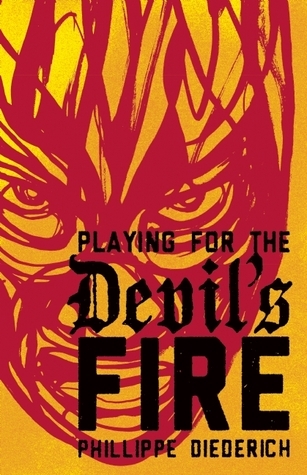 Today we welcome Phillippe Diederich as he shares his newest book Playing for the Devil’s Fire which we reviewed here. What would you like us to know about Playing for the Devil’s Fire? I was attempting to write an entertaining story that also showed the problems rural Mexican’s are experiencing with the violence of the narcos and the corruption of officials. The one thing I didn’t want to do was preach to anyone. My hope is that the book is an engrossing read for young and old alike. Your first novel Sofrito was for adults. What led you to writing for a younger audience? Were there major differences in your writing experience with a younger main character? Sofrito was my first novel. The first draft was completed many years ago. That story was born of a nostalgia for Cuba where I have been spending a lot of time back inn the 1990s. Playing for the Devil’s Fire was born out of a similar nostalgia, but this time it was for Mexico, where I grew up. I was not really approaching the book as a young adult book. I was just writing a coming of age story in this violent and difficult scenario. One of the issues with a young main character, especially one that is the ‘voice’ of the novel, is that you have to temper your literary impulses. By this I mean that a 12 or 13 year old boy is not going to speak like a 40 something writer. You have to be absolutely faithful to your character and let him narrate the way he would narrate. In other words. I didn’t write the book Boli, the main character of my story, did. I prepared for this by writing a number of coming of age stories before attempting the novel. Your main character, Boli, is a reminder that children are resilient. I appreciated his ability to maintain hope in spite of the many horrors happening in his community and family. How did this character come about for you? Like I said, I had written a number of short stories where I had sensitive and resilient characters in a world that does not appreciate that personality type. I also drew heavily on my own experiences, growing up in the outskirts of Mexico City with a band of boys running wild and without supervision. We were between ages 8 and 15. There are a lot of dynamics in a group like that. But Boli is his own self. As I developed the story he came alive and led the way. I always try and listen to my characters. Boli told me what to do. Are there reflections of your own childhood hidden within the pages of the book? As I mentioned above, some of the main character and the dynamics of the young people in the novel are rooted in part in my experiences growing up in Mexico. Just like the scene in the ravine and they find the wreck of an old car, I experienced that with my friends while exploring the ravines around our neighborhood. The fair, the poor neighborhoods, the dynamics of the Devil’s Fire marble, it all comes from something I experienced in my youth. Are you still a lucha libre fan? Do you have an all-time favorite wrestler? I am not longer a huge fan. But I like lucha. I don’t follow it. I like the small affairs in Mexico or even here in the states, when the luchadores are not big names and the ring is set up in a street fair or a small auditorium. It’s more intimate. I grew up with the lucha movies. And the scene where Lucio tells Boli that he met Mil Mascaras happened to me when I was on a tour of Churubusco studios with my father. It was pretty cool. Did your life as a photographer help to prepare you as a writer? I think it did. First of all I am told I write visually. And no doubt that comes from my experience as a photographer. Also, being a photojournalist allowed me to travel extensively and to meet people I would have otherwise not met. I was a very shy kid and even as a young photographer, I was petrified of approaching people I didn’t know, but I also believed in facing my fears. My work as a photojournalist allowed me to break that. It gave me license to walk up to people on a street corner and start talking to them, ask questions, learn what their situation was. I think John Steinbeck is my biggest inspiration. I find his work very humanistic. His empathy toward his characters is amazing. I think he inspires my stories and my characters. I also admire the work of Earnest Hemingway because of his style and he was probably the writer whose work brought me into reading a lot. I think that without For Whom The Bell Tolls, I would not be a writer because that book started me back on reading obsessively. 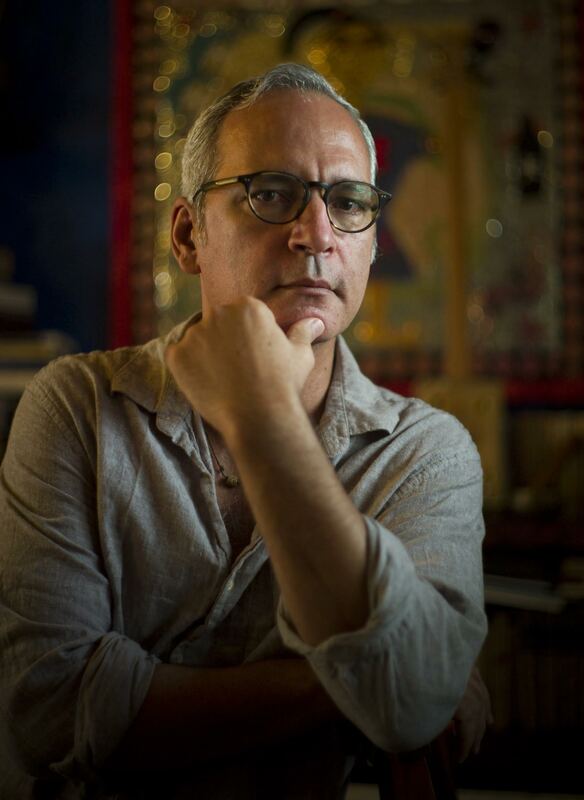 There are a lot of other writers like Cormac McCarthy and Junot Diaz. I am very eclectic. I like good stories and writing that allows me to forget that I am reading a book. Have you read any young adult books lately that you would recommend? I read Gabi: A Girl in Pieces by Isabel Quinetro at the recommendation of my editor at Cinco Puntos Press. I think it’s a great book. Drown by Junot Diaz is not a young adult book, but it has a young protagonist in most of the stories and I think it is the kind of book young Latinos would enjoy. Anything by Sherman Alexie and the Diary of a Wimpy Kid series. I read those with my son and we were both very entertained. Phillippe Diederich was born in the Dominican Republic and raised in Mexico City and Miami. His parents were forced out of Haiti by the dictatorship of Papa Doc Duvalier in 1963. As a photojournalist, Diederich has traveled extensively through Mexico and witnessed the terrible tragedies of the Drug Wars. If you are interested in reading the book, you have an opportunity to win a copy. Only those with a U.S. mailing address are eligible for this drawing.